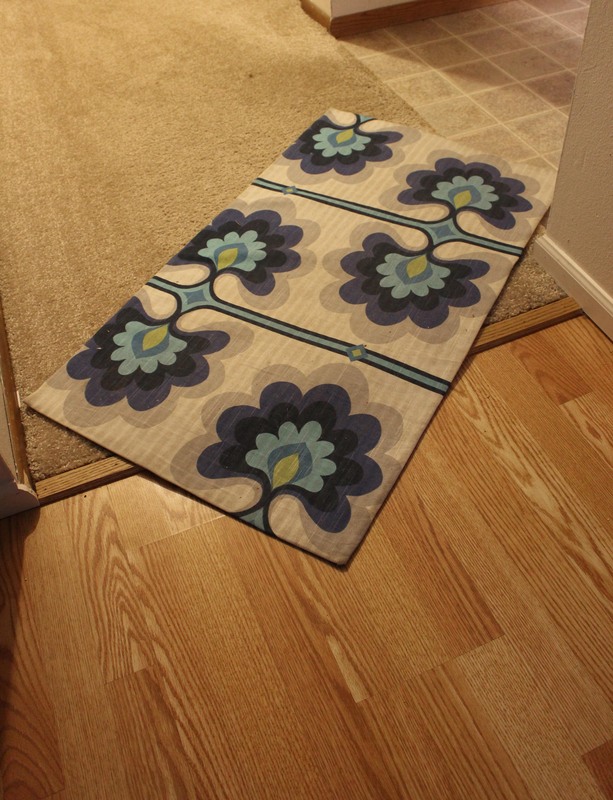 I really really wanted a very small rug to protect the carpet in between the front door and the shoe rack. Since I had some leftover fabric from the placemats I decided to try a blog post I’d read a while ago on I am Momma Hear me Roar, and seemed super easy. Although, I simplified it even more. I sprayed the fabric with the last of the “Thompson’s WaterSeal FabricSeal”, let it air out a good two weeks, then duc taped it to the rubber mat we’d bought by the foot at Home Depot. Done! Easy! No spray adhesive, no Polyurethane, and it seems to be working just fine!